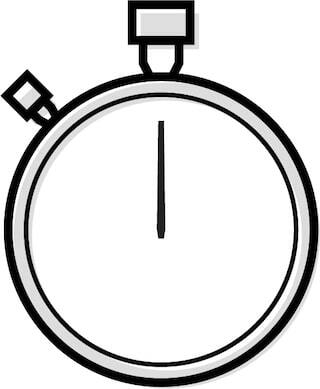 Time is measured by a set of predetermined intervals. The most basic unit of time is the second. Many things have been used to measure a second. Kids on the playground often count seconds by saying the word "Mississippi." Old clocks used pendulumns to keep time, relying on their stedy oscillation. However, these methods are highly inaccurate over time. What do use in clocks now? In 1972 we started using quartz crystals as a way to measure a second. When you "tap" quartz with an electric pulse it resonates at a specific frequency. While many materials can be caused to resonate, quartz is a piezoelectric material. That means that when it resonates it produces electric pules of its own. We use those electric pulses as a sort of pendulum to keep time. What do I need to know about atoms? 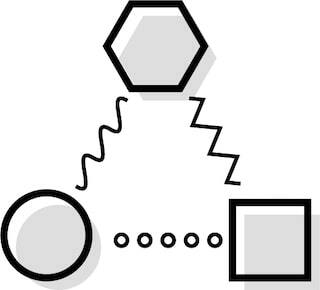 Atoms consist of three particles: protons, neutrons, and electrons. 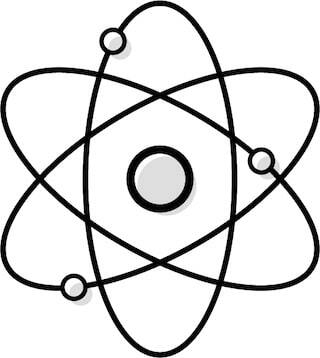 The nucleus of an atom is made up of the protons and neutrons, while the smaller electrons oscillate around the outside of the atom. When exposed to a wave that matches the atom's resonant frequency, the electrons absorb some of that energy and jup to a higher energy state. Why do we use atoms in clocks? While quartz is quite accurate in measuring time, its vibrations can be influenced by imperfections from manufacturing processes and even subtle changes in the environment. Atoms on the other hand are extremely reliable as they aren't influenced by any of these factors. How do we use atoms in clocks? In 1967 we decided to use Cesium 133 to help us measure time. One second became defined as 9,192,631,770 oscillations of a Cesium 133 atom - its resonant frequency. The process begins by "tapping" quartz so that is resonates at the same frequency. This, in turn, will produce an electric pulse that creates a wave of that frequency. When this wave hits the Cesium it causes the electrons to jump to their higher energy state. A detector then measures those energy levels to make sure it stays constant. How accurate are atomic clocks? One of the amazing things about atomic clocks is that they are self-regulating. If the quartz begins to oscillate at a lower frequency, the Cesium electrons will not maintain their higher energy levels and the detector will sense an irregularity. An additional jolt of electricity will be sent to the quartz crystal to help it return to its resonating frequency of 9,192,631,770 oscillations per second. This creates a feedback loop so accurate that it would take 138 million years for it to be off by a second.